Bonsai (pronounced “bone-sigh”) is a term that describes the cultivation of miniaturised plants, usually trees, in pots. The word “bonsai” derives from the Japanese words or phrases “bon” meaning pot or tray and “sai” meaning plant, or planting, therefore a plant in a pot or tray. The Japanese term derives from the Chinese “P’en Tsai”, first used in the Chin Dynasty (265 A.D. – 420 A.D.) and which referred to potted landscapes using trees. It is important to point out that bonsai are not special hybrids or genetic “dwarf” trees but are full-sized trees miniaturised by using techniques that involve the pruning of branches, leaves, trunks and roots along with wiring for shape and the use of specialized soil mixtures in pots whose design suits the art form. What is different about Bonsai on Vancouver Island? The climate here in southwestern, coastal Canada is moderated by the winds and currents of the Pacific Ocean. We are in the temperate rainforest biome. Generally the west coast of Vancouver Island receives much more rain and cooler temperatures than the east coast as bounded by the Salish Sea that separates the island from the mainland. The southern tip of the Island, including Victoria and the southern Gulf Islands, is actually subject to a “rain shadow” effect caused by the hills to the west and the Olympic Mountains in Washington State to the south intercepting the rain-laden clouds. In Victoria the rainfall average is about 25 – 30 inches (625 – 750 mm) a year. Some areas on the west coast of the island may get in excess of 200 inches (5000 mm) of rainfall in a year. As a result of this moderate climate there is a tremendous diversity of plant species, including a number of native trees such as Douglas fir, black hawthorn, arbutus, manzanita, western red cedar, Garry oak, western hemlock, mountain hemlock, Sitka spruce, various firs, yellow cedar and pine, among others. In addition, quite a few more “exotic” species from around the globe, many of them suited to bonsai, do well here in the maritime environment. 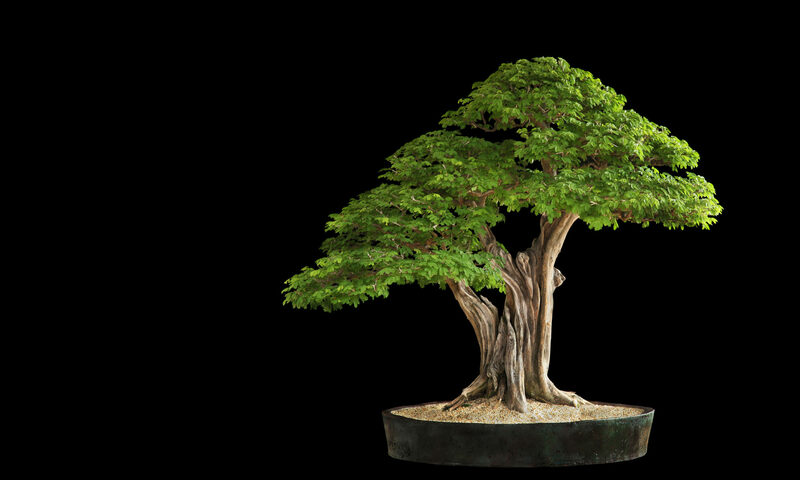 We embrace traditional forms of bonsai (as a collective term) but we also experiment with a west coast style of bonsai – bonsai styled to resemble, in miniature, our indigenous trees. The third Monday of every month, starting at 7:00 pm and usually run for a couple of hours.